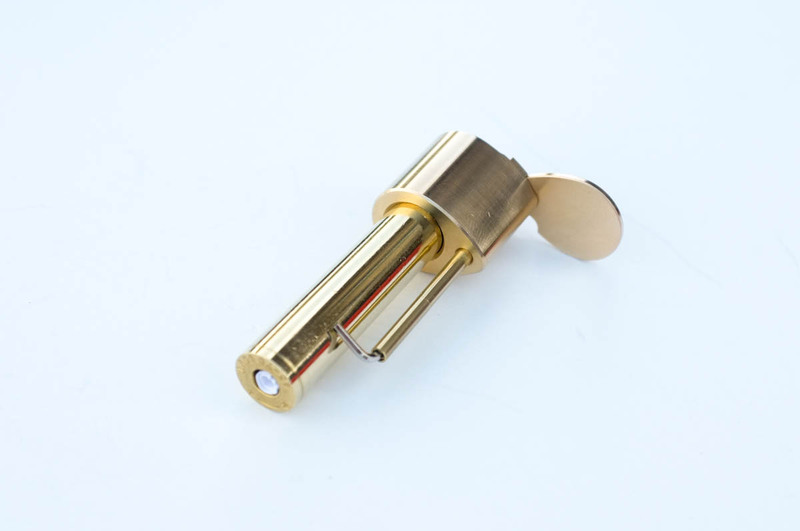 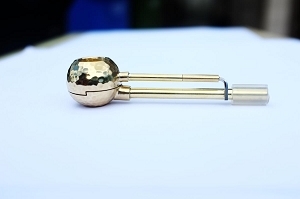 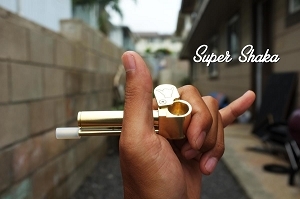 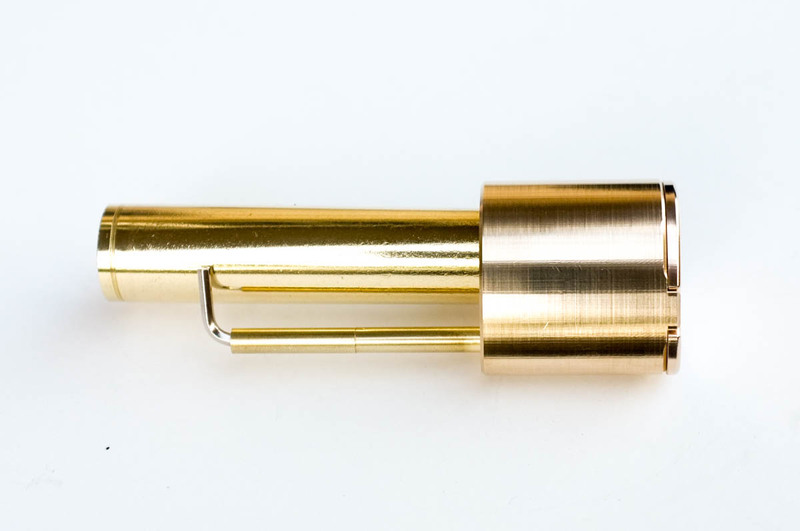 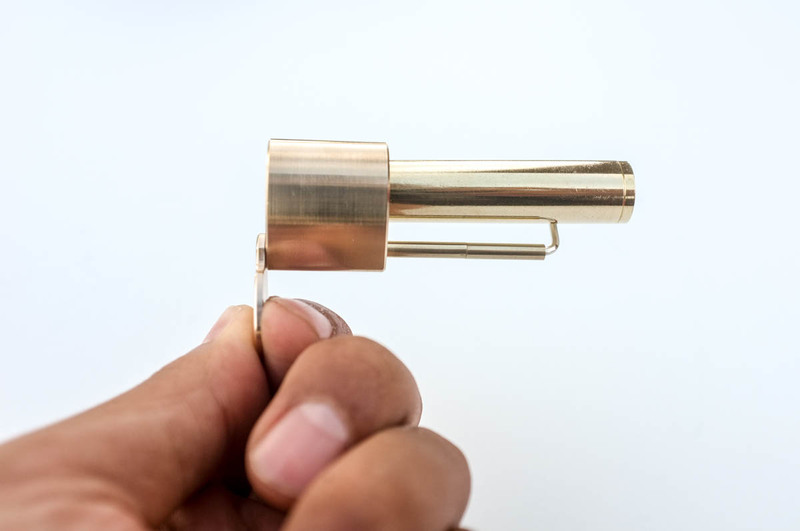 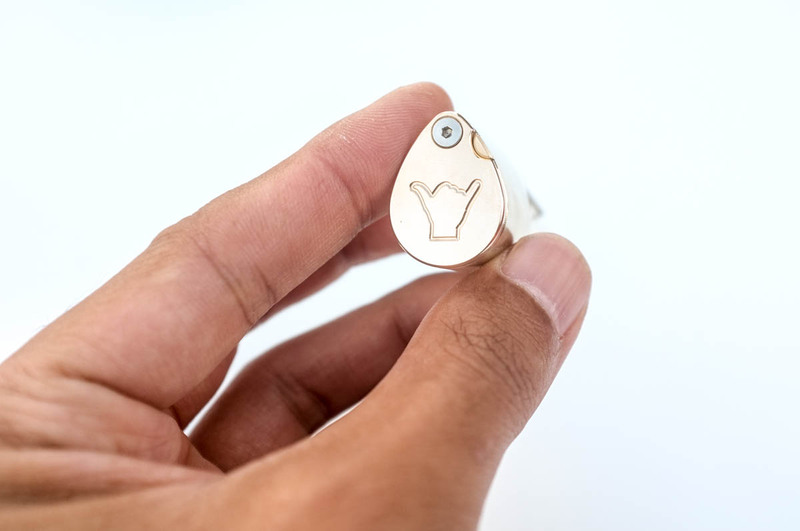 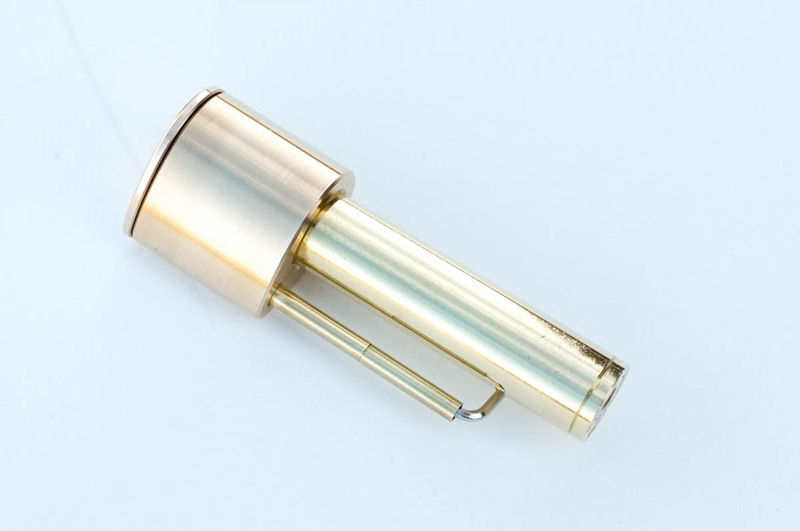 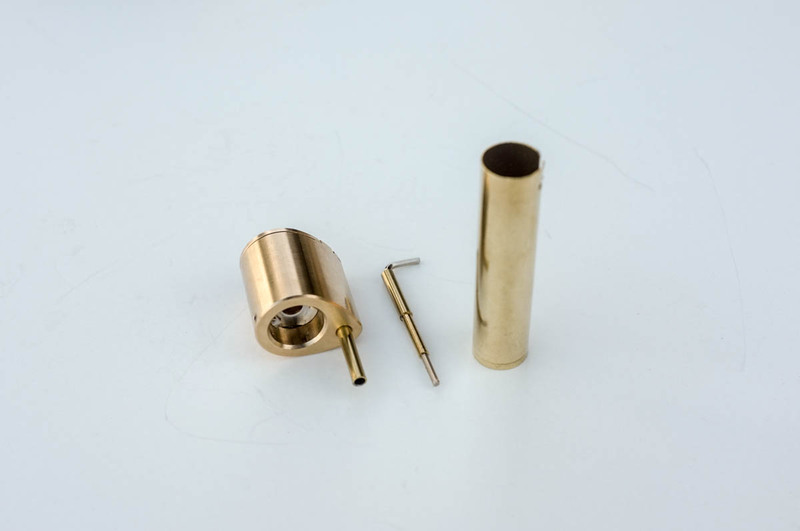 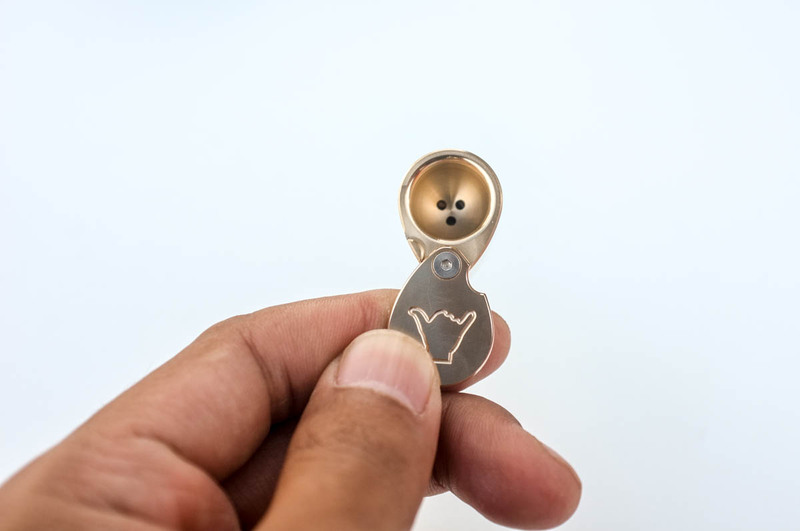 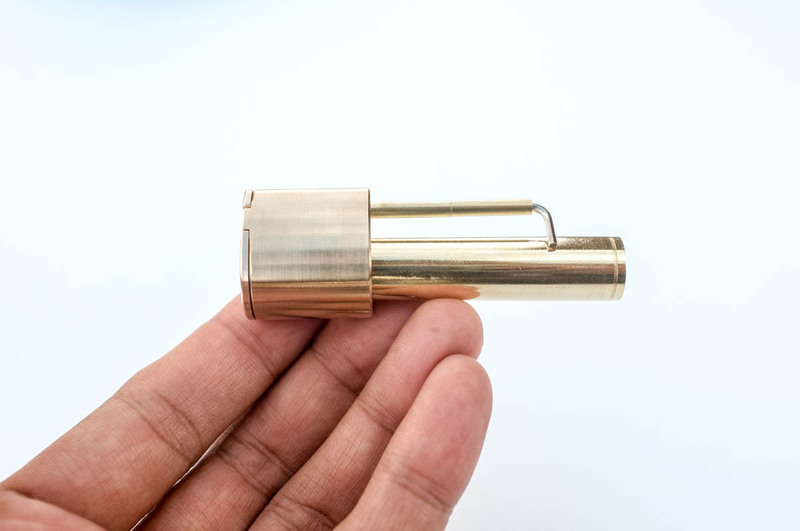 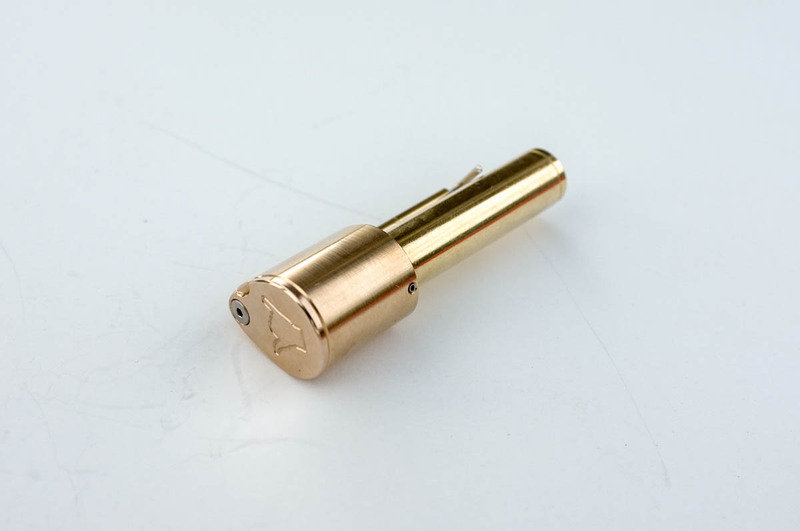 The Straight Shaka Pipe is CNC machined brass pipe with easy open top cover. 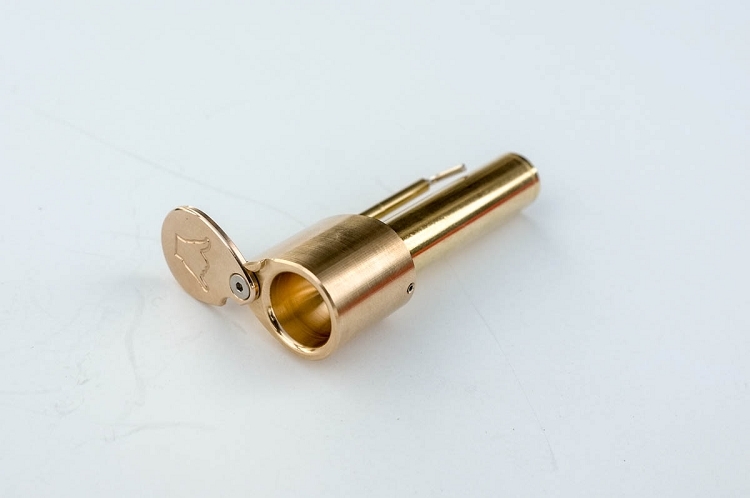 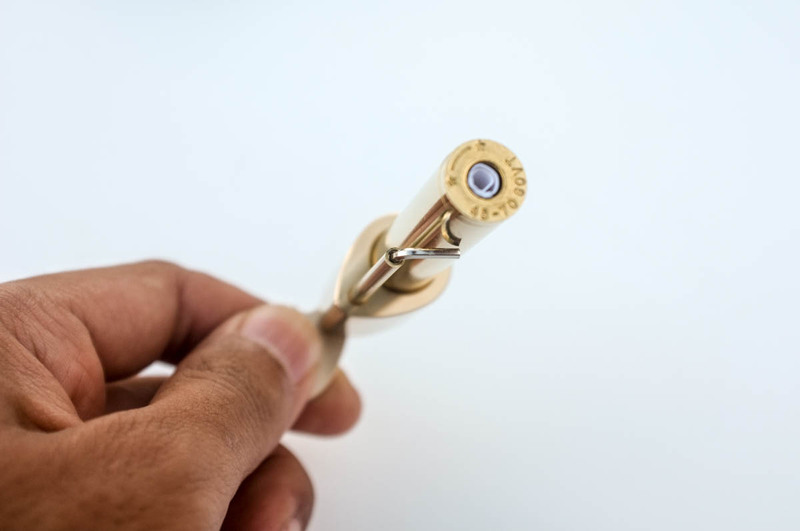 A genuine Starline Brass rifle case is machined to cleverly lock onto the head bowl as a cleanable tar trap. 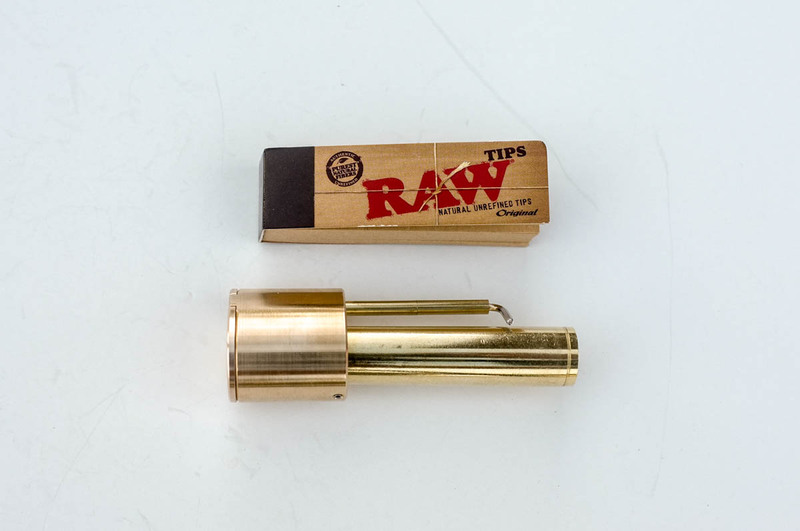 Roll up a filter tip and now you have a perfectly clean smoke. 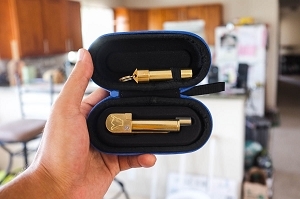 Use the built-in poker tool to clean up the pipe, A custom drawstring canvas pouch is provided.